Check here for new design work and information about the California Native Plants that we are using in our commercial projects. I got pushed by these kids to realize their landscape vision for a Mid-Century Modern remodel in Santa Barbara. 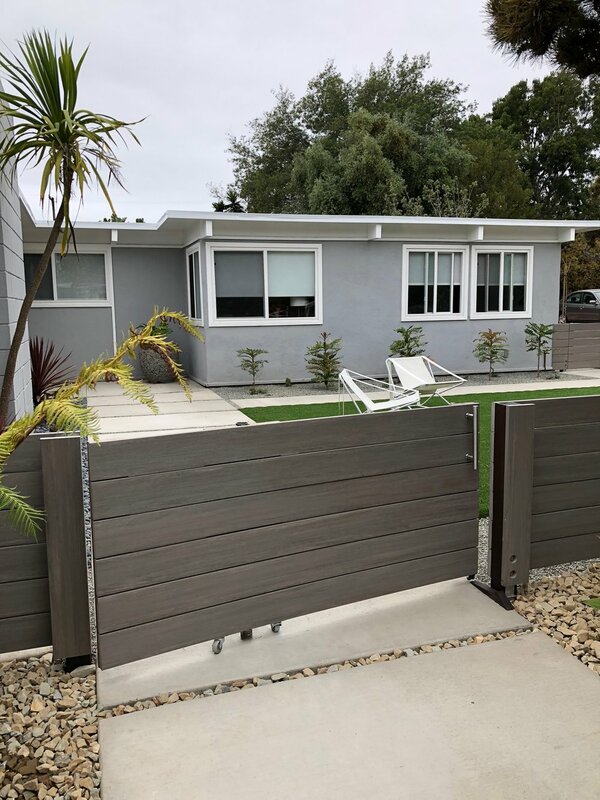 I grew up in Santa Barbara, the son of a Modern Movement Landscape Architect, during the Modern Movement, so I know it well, but of course my work as a Landscape Architect has gone through two or three design movements since then, so it was fun to go back to my father's period for this one. We had fun finding the right material for the low fence in front. AZEK is a new, all PVC, decking material, lighter than Trex and with no organic components to mildew. 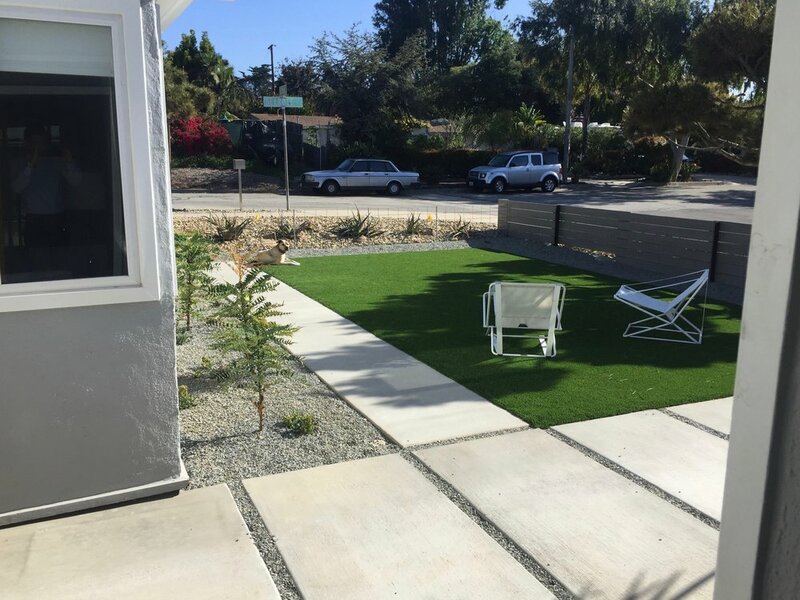 Artificial Turf pushes the "Modern" look as just another Architectural surface that can be used just like a lawn. Though expensive to install, it needs no water, drains rainwater through the gravel base, and comes with a mower-free life span of 10 years or more. Made it just in time for a critical construction consultation ... got the slope set right and the pivot gate's post set. How fun is that? Lots of interesting plant materials and a great reefy surf break 3 blocks away!